You will find Dexeus in Barcelona easily located in the heart of the suburban area of Les Corts, this hospital is apart of Quirónsalud’s large network. 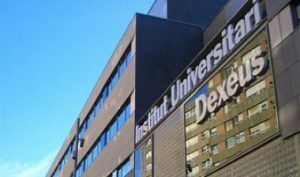 Dexeus was one of the first private university centers in Spain and with over 400 determined doctors they continue to advance rapidly with new technologies and treatments. This hospital has an advanced range of medical specialties and focuses deeply on the training of postgraduates and employees. Because it is a branch to Quirónsalud, CoSalud is gladly accepted at this hospital and many of their customers walk away satisfied due to the fact that they are catered to on every level. This state-of-the-art hospital serves as a showcase of innovation and excellence in healthcare. Their reputation for delivering highly efficient, patient-focused and cost effective care allows them to achieve optimum health and wellness for patients with an emphasis on healing the whole person – mind, body and spirit.